Oh, aren't I the stubborn one, eh? LOL! Secondly, I wish to thank you as much OR more for ALL of your SWEET well-wishes, concerns and advice on recovering from the flu! What I failed to tell y'all is that this is the FIRST time I have been bitten my the FLU bug in 20 years or better - I kid you not! Aside from my silly autoimmune disease (detest that word, makes it sound like you'll have it for life and I am SO stubborn and determined that I WILL have it beat one day), I am EXTREMELY healthy and my children generally are as well. That, I believe is due to genetics bearing forth a strong immune system. My boys, as teenagers and even presently, can have a head cold, congestion (most of them smoke, so no feeling sorry for them there *wink* - been there, done that some 20 + years ago!) and such and I am not even phased by it. I am an avid believer in handwashing religiously before going near the kitchen as that is where SO many germs are passed. I think keeping soap and Germ-X in the kitchen and bathrooms (okay, I KNOW what you are thinking, who does NOT keep soap in the bathroom!!! HA, HA!) has helped tremendously during my boys teenage years when they are out sharing everything with everybody and not even batting an eyelash over it! Okay, they may blink a few times while passing the goods! LOL! I was young once too and I SO know how that goes, and BOY does it ever! Anyhoo, the COMMON denominator in all of your suggestions has been - REST, REST, REST! I agree and today was a rather tough day as Wyatt was calling my name quite often and you know, when you are ill, it takes a lot of energy and effort simply to reply, "yes"! By the time lunchtime was over, I was begging for relief!!! However, that did not make it's self available until MANY hours later in the form of DADDEEEEE! WOO HOO! You know, it just dawned on me WHY I can be SO windy on my blog - I DON'T HAVE TO TALK!!! You poor dears! LOL! I apologize (said in my BEST Larry the Cable Guy voice!). There is DEFINITELY something wrong with me. Anyone up for a diagnosis (be nice!)? 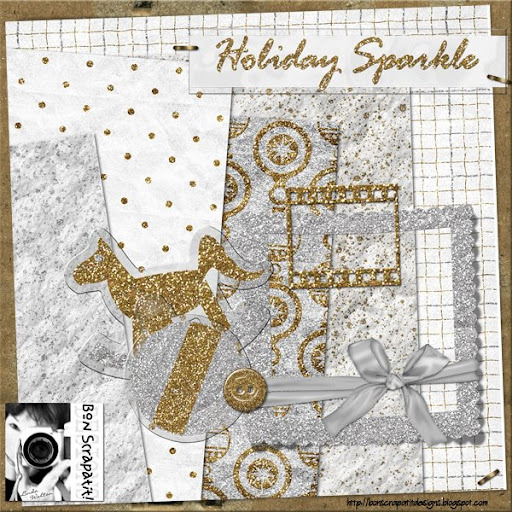 I sincerely came here to simply say, "I'm still under the weather y'all, here is the second alpha that coordinates with *Holiday Sparkle* and will also make for a GREAT stand alone for ANY of your layouts that call for some extra BLING and/or GLITZ"!!! HARDY, HAR, HAR, HAR! HELP! I AM SICK! ROTFLMBO! One MORE thing before I leave y'all. Ms. Anna, I apologize for taking SO long to get to e-mails and neglecting to see that you have already posted the QUICK PAGE you asked me about posting on your blog. Please forgive my tardiness. 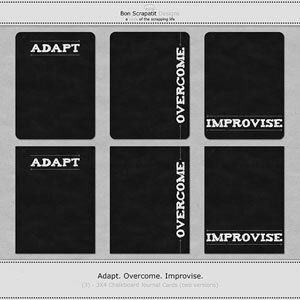 Y'all, I'd like to head you over to Ms. Anna aka DELICIOUS SCRAP'S blog where you will find a VERY lovely QP (known here at BSD as "scrapatit"!) 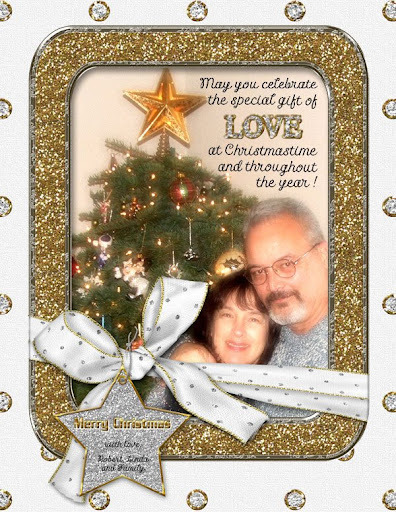 that she has created using one of her GORGEOUS Christmas kits and one of my acrylic frames. 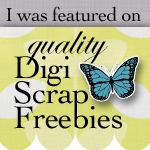 I am posting a preview below along with a link below it to Anna's blog where, if you've not ALREADY been, you will find a PLETHORA (say that TWO times as I REALLY mean it) of FREEBIE scrapkits as well as CU items. I have fallen behind on keeping up with Anna even though she is on my blog roll, because I know that if I visit, I will be TOTALLY sidetracked looking through all that she has posted since my LAST visit! The girl PUMPS the stuff out I tell ya! Anyhoo, without further ado, here is Anna's FREE QP that shall SURELY make a BEAUTIFUL home for one of your TREASURED Christmas photos! Please make sure to leave her some SCRAPLAND lovin'! In the event that I do NOT make it back beforehand, I wish EACH and EVERY one of you and your family and friends a HEALTHY, HAPPY and PROSPEROUS New Year!!! Be SAFE! We are staying home with the boys and their homemade confetti! I am SO bad, I forgot to take photos of them punching today! Well, I'll snap a few tomorrow as they finish up! ONE "FLU" OVER THE POSTEN NEST!!! HUH? OH, AND SOME GLITZ FOR Y'ALL! Hello my darlins'!!! 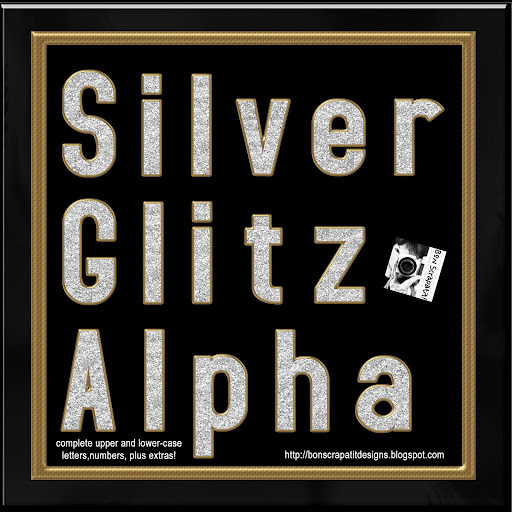 Tis me, with the flu and stopping in to leave you with the first of two alphas I have to go along with *Holiday Sparkle* or ANY of your layouts that call for a little extra BLING!!! I should have titled this post, "One 'flu' over the cuckoo's nest" as it is driving me CRAZY to have to lay low!!! ROFL!!! Thanks go out to my DEAR friend, Ms. Vicki, A Work in Progress, who just HAPPENED to catch me on Skype when I awoke this morning and talked me into trying the hot toddy that I was accustomed to as a child when very sick!!! Me thinks it did the trick as I have been UP all day thus far after spending the ENTIRE day in bed yesterday! I am still running a bit of a fever (my body is VERY chilled at the moment) and I shall be calling it a night as soon as I've posted my goody for y'all!!! I also thank Vicki and my BFF, Dawn for making me CHUCKLE so and making me feel better. REMEMBER: Laughter IS the BEST medicine! That and ALL of the HONEY and LEMON in my Jasmine green tea!!! LOL! I've DEFINITELY been a TEA-TOTALER the past two days and food does not even sound appetizing! Hmmm ... could it be the English in me is taking over??? I just might have to move to England, eh? HA, HA, HA, HA, HAAAAAAAAAAAAA! HELLO VICKI!!! MWAH! I fixed the little guys lunch, cleaned the kitchen and even vacuumed, so that tells me just HOW much better I am feeling, however, I am not going to push it by staying up late trying to catch up - OFF to beddy-bye I go! Are y'all prepping for New Year's Eve??? I'd LOVE to know how y'all celebrate - those with children and those without. We will have young ones with us this year so we just HAVE to do something exciting for them. I've decided to do with them a tradition I had with mine as they were growing up and that is to give them my hole punches, scrapbooking ones included, and let them punch colored paper (hoping I still have some construction paper hanging about!) to their hearts content for them to use as confetti come MIDNIGHT on New Year's Eve!!! I am SO excited! I've been listening to their laughter throughout the day today and I think I'm more attuned to it being sick than I would be otherwise and it has TRULY blessed me to hear them laugh aloud! Wyatt and Garret and really VERY well-behaved young men and I'm SO proud of them for catching on to the PLEASE and THANK-YOU's so quickly and they pour them out joyfully. Wyatt, the oldest, informed me that things are just a BIT different at his house and I told him that I was VERY pleased with their compliance and that it shall take them a LONG way in life! Don't ya think? Well, I'd better stop my rambling and get my weary body to bed. 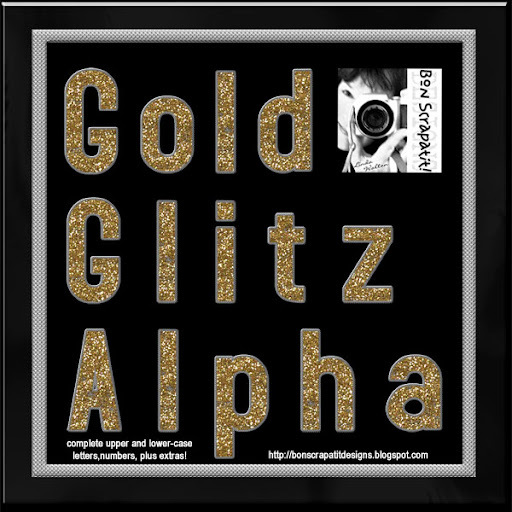 I hope to be back tomorrow with the second alpha, which will be *Gold Glitzy Alpha* and in reverse of course!!! Take care, be safe on the roads and SCRAP HAPPY!!! P.S. I still have a few more things to post for *Holiday Sparkle*, so STAY-TUNED! HOLIDAY SPARKLE #5 AND YES, I AM STILL ALIVE!!! HAPPY, HAPPY y'all!!! Hope to find everyone relaxing and recovering nicely from their Christmas gatherings! I am one TUCKERED OUT mamacita as we ended up having Christmas gatherings at our home THREE days in a row!!! Not complaining, as I THOROUGHLY enjoyed EVERY moment of EACH of those those three days, the last of which has JUST ended and I've slipped onto the computer to leave you with another portion of *Holiday Sparkle* along with a few photos from Christmas, Day One!!! of which were VERY practical and adored by the recipient! I am off to LA-LA land and BOY, did I have ONE strange dream during my last sleep!!! It seems I was some sort of well-educated "technical" person (ONLY in my dreams would this be the case!) and helped an airplane destined for disaster and was the ONLY one who would be able to do so!!! ROFL! Now, we ALL know that dreams are not as they appear so I'll do a bit of pondering upon this one to see what comes forth! HA! If you have sent me an e-mail in the past week and I have not yet replied, I shall be working on those over the next couple of days. Thank you again for ALL of the WONDERFUL comments - they DO keep me motivated and inspired!!! MWAH! Stopping in to see how everyone is doing AFTER Christmas or is it STILL Christmas at your house? LOL! You know, still visiting, family still at your house, a second or third Christmas or waiting for everyone to be together before celebrating? I surely thought I'd be back yesterday with some photos or a goody, however, I did not make it to my computer once after starting my Christmas day with a MOST wonderful voice chat with my BFF, Dawn Mills, Vicki Parker (England) and Mel Hains (South Africa)! I am still SO totally in awe at the fact that we have the ability to connect with people ALL over the world via our computers and for FREE! What a FABULOUS Christmas present this was for me!!! Towards the end of our conversation two of my sons arrived, came in to greet me and were greeted by each of the LOVELY ladies with whom I was chatting! The expression on Luke's face was priceless and even HE was amazed how we were able to connect!!! Anyhoo, we laughed, we giggled and we shared quite a bit on the subject of photography! There is always SO much to learn from others, isn't there? Mel has shared some BEAUTIFUL photos on her blog in the past of a wedding she shot - GORGEOUS! She really has a keen eye and is VERY creative! Vicki shared some Christmas photos with all of us which made me feel as though I was there celebrating with she, Rob, Pompey and Lily!!! Mel had a good chuckle at seeing a photo of Rob at the stove cooking and then one of Vicki chilling with Lily on the sofa!!! ROFL! We had a FABULOUS day which worked well into the night as we waited to have Christmas dinner until John arrived home from work. And, yes, I overdid myself as usual and am paying the price today!!! Will I ever learn? Doubtful, as ya gotta do whathca gotta do to get 'er done!!! ROFL! Robert is working half-day today and then will be on his way to pick Wyatt and Garret up so I'm on my way to finish wrapping their gifts and preparing myself for another Christmas day with the little guys as well as Kaleb and his mommy and daddy!!! I'm SO excited to see Kaleb as this is, of course, his FIRST Christmas and he has some NEW things to show Grandma since last she saw him!!! I can't wait! Well, I'd better get busy so I can come back later! Thank you ALL, each and every one, for your WONDERFUL Christmas wishes that I've just read before posting. Y'all are TOO sweet! MWAH! Would LOVE to hear about your Christmas! Have a GLORIOUS day everyone!!! I CAN FINALLY SAY IT!!! It is officially Christmas here on the West Coast and I just had to stay up to wish you all who celebrate a MOST wonderful day with your families and friends! I wish you LOTS of MAGICAL memory-making moments throughout the day for LOTS of FABULOUS photos to fill up your FAMILY albums as we finish out the year 2008!!! TERI IN HAWAI'I - I've been waiting to say this to you and whoever else may be visiting from the islands .... MELE KALIKIMAKA!!! I'm sure I've mentioned it a time or two, Robert is half-Hawaiian (hapahoulie!) and was born in Queens Hospital on the island of O'ahu! I am QUITE honored to know that MANY of you will find my goodies suitable for preserving some of your memories from this year as well as those past! Thank you ALL so very much for your AWESOME support throughout this past year, for making me CHUCKLE at all hours of the night as I read your SWEET and LOVING comments as well as warming my heart. I could not ask for a better group of friends to hang out with!!! MWAH! May the New Year bring us ALL much LOVE, PEACE, GOOD HEALTH, HAPPINESS and PROSPERITY! With the months of computer woes and struggles to keep up with my projects, I did not have the opportunity to design a Christmas card this year, so since MANY of you are new to my blog this Christmas season, I hope y'all don't mind me posting my card from last year as the sentiment stands true this year as well!!! ENJOY your day everyone and I may be back later with some more goodies and possibly a scrap of our Christmas tree and other decor. If I don't do it now, I won't! LOL! 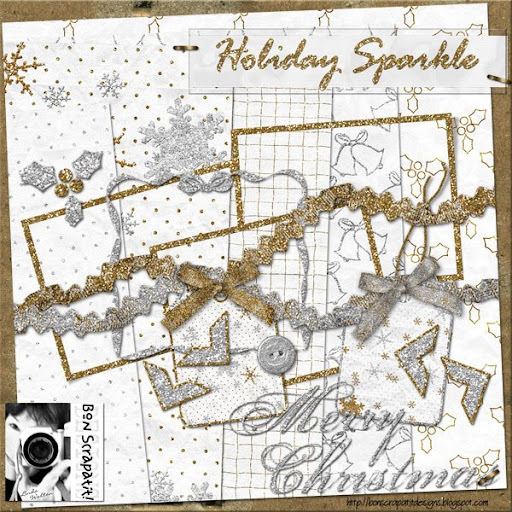 Card made with some pieces of my *Holiday Sparkle* located here on my blog for FREE! I just had to stop back by and say "THANK YOU" to ALL of you who have added either a layout, a photo of a greeting to the guestbook!!! Most of you already know what a "sap" I am and I just came in to check out a link and happened to look up at the guestbook and got a bit misty as I was admiring all of the BEAUTIFUL faces from near and afar! I am SO blessed to have this opportunity in my life to meet with SO many INCREDIBLE people who just HAPPEN to share the same passion I have for preserving our family's MOST precious and PRICELESS memories one day and one scrap at a time! Y'all are just the GREATEST friends on this earth! Again, I thank YOU! You make it possible for my passion to be realized in a HUGE way! LIGHTS ... CAMERA ... ACTION! IT'S A WRAP Y'ALL!!! Got the Christmas tree lights glowing, the camera batteries charged and ready-to-go, gifts will ALL be wrapped tonight and tomorrow and then come Christmas day, VOILA, the ACTION begins!!! Everybody ready??? Company coming? You going? Christmas breakfast with others outside of the family? Church service? Numerous stops on Christmas day? A serviceman/woman coming home for the holidays? How are YOU spending your Christmas this year? We have had a little change in plans as Robert has to work, so we will celebrate with three of my sons later in the day (John works with Robert so they will arrive home together) and Robert will pick Wyatt and Garret up on Friday to celebrate with them. He also has a SNOW day planned in which he will take whoever wishes to go, to the SNOW!!! The little guys don't know it yet, but Dad has bought them a sled so this will be quite a treat for them!!! Well, I have a little more *Holiday Sparkle* for y'all and I hope that you can find a place to add it to your VASTLY growing collection!!! Now, when I first created these papers and embellishments, I did so with it in mind for them to be mixed with other designs. In other words, everything in *Holiday Sparkle* has glitter on it somewhere and I don't think you will create an entire layout with EVERYTHING sparkling, so they are nice pieces to blend with say, plain papers or non-glittered embellies! Then again, you may be a SPARKLE fiend like me!!! ROFL! They are really great for cards, gift bags and mini-albums as well for those last minute gifts that suddenly pop onto your list or you've suddenly remembered. NAH! Not y'all!!! You ladies are TOP of it this year, I just KNOW it!!! Remember, there is only ONE caboose and that would be ... ME! LOL! I will say that I am looking forward to this year ending my motto of "a day late, a dollar short and THE LAST to know" and finding the new year replacing it with something at the opposite END of the spectrum! HA, HA, HA, HA, HAAAAA! WOO HOO!!!! Love to all and to all a HAPPY, FUN and SAFE night! DO YOU HAVE A HOLIDAY PERSONALITY??? I know, I know .... I am WAY past my bedtime, but I've been trying to reply to a few of your comments while it is quiet in the house and I could not resist seeing what kind of HOLIDAY personality I have!!! Your holiday personality is cozy. The holidays are your favorite time to stay home, stay warm, and spend time with those you love. You don't need a lot to make you happy over the holidays. Seeing an old relative or favorite holiday film is enough to make your day. MODERN DAY SANTA??? HO, HO, HO, WHAT DO YOU KNOW! And what before my failing eyes should appear? Uh, uhm ..... well, it surely t'was not a jolly 'ol man dressed up in red, nor was he driving a sleigh pulled by eight tiny reindeer! How about the DHL delivery "young" man dressed in blue, driving a BRIGHT yellow van powered by eight, somewhat smallish, GAS guzzling cylin-DEERS!!! ROFL! WOO HOO, YEEEEEEEEEEEEE-HAW, my computer IS here!!! Sorry for the blurry photo. I was walking towards the gate while keeping my fur babes behind me and trying to snap a photo of Santa!!! I told the gentleman that he forgot to wear his Santa cap and he nicely apologized while explaining to me that they are, unfortunately, issued dress blues! ROFL! So nice to know the OVERWORKED delivery people still have their senses of humor intact!!! I've had to hold onto this since my "un" birthday, which was on the 11th and the VERY day that my new computer arrived! It was a LONG hard decision, but Robert said, "you need it, get it!" as I spent all I had and more on just a new CPU (no monitor)! I am EVER thankful as I can finally begin to become productive once again and, hopefully, not suffer too much of a setback from being SO far behind! I wanted SO badly to share with y'all, but I knew that box would have to sit, untouched until Robert could bring me an extra monitor from work. He had to ask his boss, which he figured would bring a positive outcome as there are THREE 17-inch monitors just sitting and collecting dust! Hey, they can do that over here at my house just as well!!! ROFL! 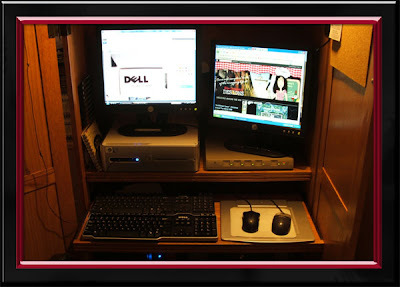 SO, my sweet man brought the monitor home the following evening MINUS the VGA and power cords!!! He just knew he was forgetting something! *big grin* Robert ALWAYS looks forward to his Friday and the weekend to be at home. He offered to take a trip back to his office Saturday morning and I replied, "Honey, I do not want you going ALL that way when I can VERY easily wait for your arrival home from work Monday evening!" So, wait I did and I spent the next several days trying to figure out HOW I was going to get my CU files onto the new computer since I did not have the resources to purchase a transfer cable or upgrade to a NIC card. Hmmmm .... what IS a girl to do? It would take hours and days to burn to DVD all I needed. 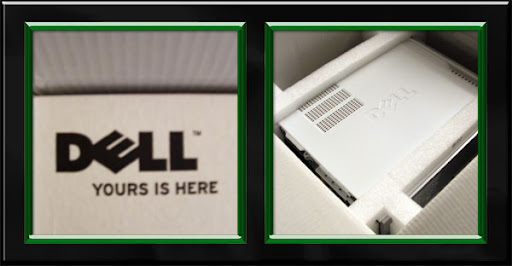 Well, as I was just preparing to start a burn session, only to find Nero being completely uncooperative and even more so than ever, a LIGHT went off in my little pee brain and I thought, if I have both of these computers hooked up to my DSL router, why can I not somehow share files between them? My dear friend, OSTEN WILKINS, was on Yahoo and has been working hard preparing DELIGHTFUL goodies for ALL of SCRAPLAND, so I VERY quietly sent him a message asking if I could ask him a QUICK technical question. He, of course, graciously accommodated me and within a matter of several minutes, I was setting my old computer up as a host machine for my new computer to share files with!!! WOO HOO! I was not only feeling GOOD because I could finally, and within a reasonable amount of time, start moving files to my new designing machine, but I had learned to network two computers together!!! THANK YOU OSTEN! out of hearing range! A rather convenient arrangement for Robert and the boys! And, yes, of course, there is the fact that I am now using Vista!!! So far, so good and I am LOVING Vista. I did have to update software so that it could handle my digital camera and I may have to do that with other hardware once I start moving it over, but it was an EASY fix! I have some VERY exciting things coming about in the new year and I shall share those with you AFTER Christmas as I know we are all gearing up for the BIG day and I just wish the rest of the days to be filled with small gifts for y'all! Today, I leave you with the final two acrylic frames in both RED and GREEN! I am SO happy that y'all are enjoying them so much! Thank you! 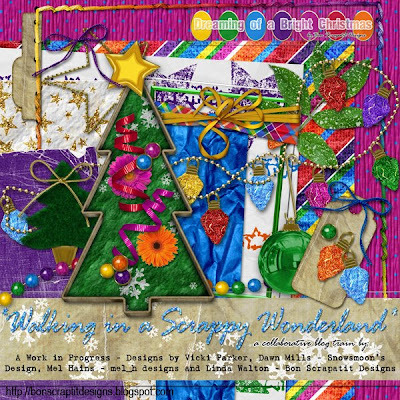 They are being added to my *Dreaming of a Bright Christmas* folder, which is part of the *Walking in a Scrappy Wonderland* collaboration with Vicki Parker, Mel Hains, Dawn Mills and myself. You NEVER know what might be added to this already INCREDIBLE collection of scrapping delights! I was hoping to see the guestbook filling up with layouts, greetings and/or Christmas cards, however, this girl TOTALLY understands that this time of the year brings about TONS of goodies to be had ALL over SCRAPLAND, which calls for LOTS of downloading and organization, along with your preparations at home, so I am hoping that you will begin to share YOUR masterpieces with me in the coming new year! Love to all and I will see you again tomorrow, God willing! P.S. I am WAY behind on e-mails and comments and hope to get going with those ASAP. I have decided, for the time being, to leave my e-mails and IM's on the older computer and to use the new one mainly for designing. I have to tell you that after becoming accustomed to getting up and going out of the room to do other things while waiting for Photoshop to open, files to open and/or close and running actions, I was jaw-droppin' SHOCKED to watch the first action run on my new system!!! WOWEEE! No wonder I was ALWAYS behind! Kind of like a putt-putt car that won't do more than 45 MPH and it taking what seems like FOREVER to get one to their destination!!! And I've been there before too! LOL! Today, my firstborn of six WONDERFUL children celebrated her "31st" birthday!!! HAPPY BIRTHDAY APRIL DAWN!!! I LOVE you sweetheart! I sent April an e-card this morning and left a message on her cell phone. She called me back later in the afternoon and I told her that it was 31-years ago today that I held a tiny little miracle in my arms for the very FIRST time!!! Holding April is a "miracle" I still treasure today and shall always and forever along with, of course, her five siblings! April and her boyfriend, Ethan, were on their way to her sister's house for a birthday dinner and April said they were getting LOTS of snow in Vancouver, Washington! She was cute when she told me that this was her firstever birthday to spend without the sun shining. That prompted me to remind her that the day she was born in Portland, Oregon, the cloudy skies gave way to sunshine and LOTS of blue just for her debut!!! throughout the evening! Such a sweetheart and a VERY good sport! OMGosh y'all!!! I just have to share a special moment that just transpired between Robert and I as I was just getting ready to upload the files for tonight's goody! Anyhoo, I'm listening as I'm saving files and getting ready to zip them when I start singing along with Robert to Georges Strait's "What Do You Say To That"! All of a sudden my mind was flooded with the memory of how I used to play the one and only George Strait CD I'd ever owned, after winning it from a local country-western radio station, on my computer. I had been seeing Robert for several months and we had become like a well-worn pair of shoes - the fit was perfect and we were VERY comfortable with each other as though we'd been friends for years! We would sit and talk for hours and hours and related so well together and, yes, we would even finish each other's sentences and eight years later, we still do! Acutally, we just look at each other many times as we already know that we are thinking exactly the same thing!!! This is somewhat of an every day occurrence! So, with that little bit of information, y'all will understand how the lyrics to this short and VERY simple song really meant a lot then and still mean alot now! Not to mention the fact that Robert dearly loves George Strait's music, mostly because of his son, Josh who used listen to it a lot and when Josh went to Iraq, Robert would listen to it more than ever. SO sweet! Sheesh, I sure can ramble on, can't I??? The VERY special moment that happened tonight was as the two of us were singing along and tears started welling up in my eyes, I realized that at one time I sat alone in MY room singing along to this song and TONIGHT, the two of us were in OUR room singing this VERY special song together! So y'all, what do YOU say to that? LOL! I still have lots to share, but we started decorating today and, hopefully will finish up tomorrow! I have to pace myself so it takes DAYS! I did take a few photos a few days ago and today. I found our little Zekey boy curled up sleeping beneath the Christmas tree when Robert first put it up. This is the first real tree we've had in four years as it is Robert's preference and think a little more special for when the little guys come to spend the latter part of Christmas Day and probably into the new year with us. Today, John and Robert strung the lights on the tree and tomorrow I will put the ornaments on and finish the rest of the decorations. And then, naturally, I'll be back here to give out the final set of RED and GREEN acrylic frames! Below, you will see a few of the photos I took, two of Zeke and one of Robert! OMGosh, OH MY GOSH!!! "Blue Velvet" is playing!!! Okay, okay, I am NOT completely grown up yet!!! ROFL! Tonight's goody is being added to the *Walking in a Scrappy Wonderland* folder. Have a SUPER SUNDAY everyone! P.S. I have had SO much FUN with Robert tonight that I've been up and down, danced with him a bit and it is now Sunday, so April's birthday was yesterday! HAPPY FRIDAY EVERYONE!!! WOO HOO - time for another weekend and THEN ... YUP, it'll be Christmas before we can say "Jack Frost nipping at your nose"! Since the ACRYLIC frames were such a hit, I've decided to give them to y'all in the TRADITIONAL Christmas colors of RED and GREEN! You can always adjust the HUE to make them a DEEPER color or even to change their color all together!!! 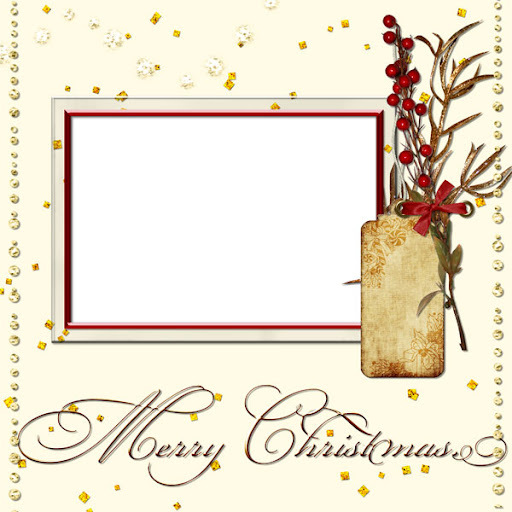 These will be added to the *Walking in a Scrappy Wonderland* folder as they coordinate and you will already find the green landscape frame in one of the portions of *Dreaming of a Bright Christmas*. I added it just in the event some had not downloaded any of the WIASW goodies ! My daughter, Joan, who most of you know was married in August and thus the reason for me creating the nearly month-long *Summer Wedding*, happened to visit my blog a week or so ago (she does not often stop in as she is VERY busy at work on the computer all day and being on the computer is not exactly how she wishes to spend the rest of it when arriving home! 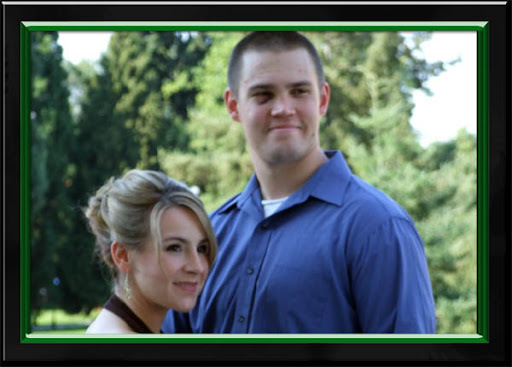 ), ABSOLUTELY loved seeing her wedding photos in the SILVER acrylic frames! So MUCH so that she was going to ask Rebecca, her wedding photographer and good friend, to add them around the photos in the wedding books she is having created via My Publisher. WOW! That really means a lot to me as Joan REALLY prefers things simple and elegant (like me MOST of the time!!!). Now, you would NOT know this by visiting me on the home front!!! Countrified girl all the way! HA, HA, HA, HAAAAAAAAA!!! Well, I do like to add a touch of elegance to my home decor, but not a lot as I live on dirt (no concrete to be found but in the garage!) and with MEN! LOL! I wish you all a MOST fabulous weekend and if you are out and about doing some last minute shopping, SAFE travels and I will be back over the weekend with some SHARES that I can finally post! I will also have a few things to share with you from my TREASURE HUNT in SCRAPLAND!!! Thank you, thank you AND thank you for ALL of your lovely comments. I am, hopefully, caught up on e-mails (if I've missed you, PLEASE resend) and will be working on comments next. After tomorrow's post, you will know EXACTLY why I've been SO quiet lately! GLITTER - A SCRAPPER'S MAGIC FAIRY DUST! Ahhhh YES! More glitter for y'all and it just occurred to me as I was zipping up the file for tonight's download that GLITTER is, indeed, a VERY magical ingredient on a layout!!! Well, for me it is anyhoo! What do you ALL think? Can you believe it? One more week until Christmas!!! My, oh my how the time TRULY does fly when you are having FUN! And you know, how can one NOT have FUN in SCRAPLAND? I think it impossible! ROFL! I wish you all a TERRIFIC Thursday and I thought I would not be able to have computer time tomorrow as Mark was going to bring Kaleb down for Grandma to babysit while Mommy and Daddy went to pick up his portraits and do some Christmas shopping, however, they have decided to take baby with them! If they are not too tuckered out, they will attempt a visit on their way back home in the evening. Besides, they are going to the mall and y'all know WHO is at the mall, right? Uh, huh, SANTA CLAUS!!! I told Mark to take their camera and snap some photos of Kaleb in Santa's lap!!! He has already seen Santa, but Mark was not present SO, they just need to visit again, don't you think? LOL! No fair that Daddy doesn't get to see his son's first visit with Jolly 'ol Saint Nick!!! LOL! And tonight's goody, MORE *Holiday Sparkle*!!! Had enough yet??? P.S. For any of you visiting for the first time or who have not collected the first three downloads of *Holiday Sparkle*, you will find access to the entire folder by clicking on the *Holiday Sparkle* preview located on the sidebar. 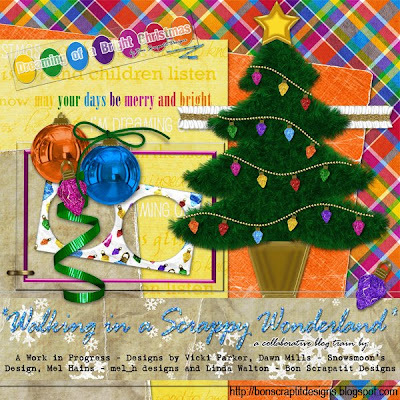 *** I have deleted THREE files today from my *Walking in a Scrappy Wonderland* folder. I also deleted two files yesterday. PLEASE make sure that you are clicking on the DOWNLOAD button and not UPLOADING anything. The way I am seeing this, since others are downloading these foreign files that belong to other designers, is that piracy is taking place within my 4-shared account and I am not liking that idea one bit, so please do not add any files to my folder. If it continues to be a problem, then I shall have to remove access to my folders. As my sweet friend Cindi aka SOINKINCUTE said in one of her comments that I just read today, 99% of SCRAPLAND would NOT do such a thing, so that means I am only speaking forth to the other 1% that might think to. I thank you in advance for respecting my space and those who come to visit on friendly terms. You will see the original links as well and I have not removed them due to all of the comments that I still need to go through again! This is the FIRST time 4-shared has broken my links so I cannot complain after over a year of uploading to their service! I shall be back later with another addition to HOLIDAY SPARKLE and am SO thrilled that y'all are LOVING the GOLD and SILVER! If I had my say and the ability to do so, I would LOVE to decorate my house in ALL white lights (this part I do already!) and greenery with SILVER and GOLD decor!!! SOOOOO elegant! LOL! 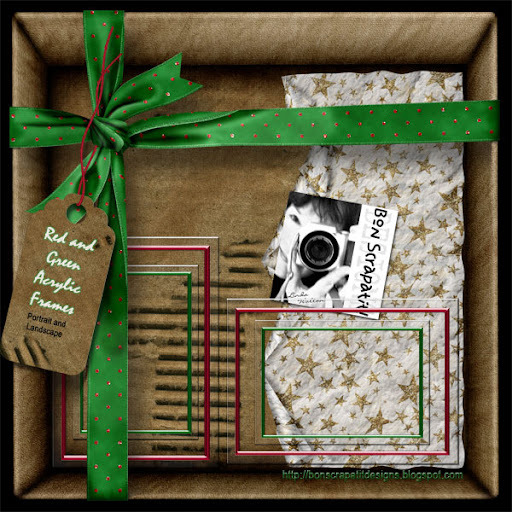 Well, since I've been the CABOOSE throughout our *Walking in a Scrappy Wonderland* collaboration of goodies featuring Snowsmoon's Design (Dawn Mills), mel_h designs (Mel Hains), A Work in Progress - Designs by Vicki (Vicki Parker) and yours truly, I've since DERAILED!!! YUP, done jumped the tracks!!! ROFL! I posted a short message so y'all would know WHY I've been "derailed" and have come to find that I had not come down with a flu or anything (I NEVER get sick, just falling apart!) but had an adverse reaction to the smoke coming from the cedar burning in our woodstove several days ago and I almost walked right into it again just a bit ago!!! Now I am prisoner in my room (computer with me, OF COURSE!) until the the lingering aromatics dissipate so that I can breathe freely without my eyes and nose burning and a relapse into what I've felt the past several days - ACK! I've just become sensitive to certain smoke (cigarette is one), car exhaust and some chemicals over the past decade. I believe it to be connected to the autoimmune issues I battle with on and off. ANYHOO, "I AM back" and am bringing you my final installment of *Dreaming of a Bright Christmas*, which I have added a few additional pieces to as a way of making up to you for it being several days late! I've included a "bare" tree for y'all to decorate to your liking and YES, and I even including the Christmas Tree Box that several of you had asked about from the preview for the plaid alpha. 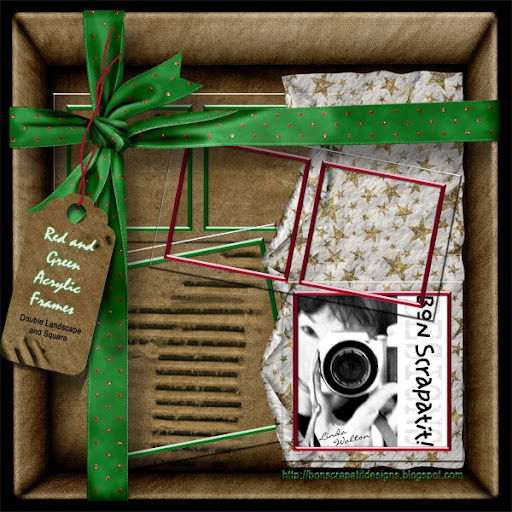 This LOVELY box was made from a couple of my background papers using a FABULOUS action from the VERY talented Monica Larsen who I refer to often as, ACTION QUEEN! If you visit her site, you shall understand why I think so highly of her AND she puts out some GORGEOUS kits as well! Stop on by and take a peek, I'm sure you will agree. Monica also owns Commercial-Use which is a site consisting of nothing but INCREDIBLE designer resources and you can find the link located on my sidebar as well as HERE! I will be offering up another alpha and a few more goodies to coordinate with our *Walking in a Scrappy Wonderland* collaboration and since this is my final BIG project of the year, I will continue adding goodies to each of the folders on my sidebar, which include *Dreaming of a Bright Christmas", "Holiday Sparkle" and an add-on to *And Winter Came* (I will be adding image and link to the sidebar after this post or tomorrow morning) throughout the remainder of the month of December. I will always post via my blog first and then add the links to the appropriate folders. I've spent the past two days relaxing and watching some WONDERFUL Christmas movies with Robert on ABC Family, Hallmark and Lifetime. There are some really GOOD, GOOD movies to be watched let me tell you!!! I believe my allowing myself to "veg" for a bit has helped me recovery quite quickly, not to mention affording me some quality time with my sweetheart!!! AJILA - NO, it has not started snowing in Copper yet! It was VERY close to happening but all we got out of it today was hail! The temp was 36 degrees, so not QUITE cold enough. My son Mark called a bit ago and they had a dusting of it 11 miles up the hill in Angels Camp, but nothing that stuck for long! That is usually the way in our neck of the woods and we can only hope each year that we'll get to see some if only for a moment! Rain? OH YEAH! LOTS of it! Thank you for being a constant RAY of sunshine on my blog girl! Leaving YOU some love!!! MWAH! BARB - I'm spoiled enough just knowing I have such GOOD friends that wish to spoil me when I'm under the weather!!! Thank you for sharing with ALL of SCRAPLAND from your MOST generous spirit. I've not been able to download the special gift you sent yet with my lagging computer and derailment! Please forgive me and I will come visit you personally on your blog to thank you and, of course, will just HAVE to share with everyone in SCRAPLAND! You are such a GEM and I am SO thankful to have been given the opportunity to meet and get to know you. HUGGIES! NANCY (in CT) - I saw a post somewhere out in SCRAPLAND by you mentioning that you are Polish and celebrate with a Polish cuisine even!!! My grandfather on my father's side was born in Warsaw, so I am 25%, but would SO love to learn a little about how you celebrate! Sending you some LOVE girl and hope that you are feeling GOOD this MOST wondrous time of the year! EVERYBODY - I am sending love and hugs to all and thank you from the depths of my soul for your INCREDIBLE support via comments, e-mails and postings to the guestbook. I am SO blessed to have such an INSPIRATIONAL group of digi-scrapping sisters with whom I can share not only my designs, but a bit of ourselves as well! I shall work diligently this next week to catch up with many of you on YOUR blogs as I really miss my blog-hopping and LOVE to visit and see what y'all are up to!!! HAPPY MONDAY everyone and may this week bring about ALL that you hope it to! P.S. I am posting previews of my first three parts to *Walking in a Scrappy Wonderland* for any that may be visiting for the first time and would like to collect all portions from the past three weeks. You will find the main preview image located near the top of the sidebar. Click the image adn you will have access to the entire folder of coordinating pieces to download as you so desire. Hope y'all are enjoying ALL that SCRAPLAND has been offering us this Christmas season - I surely have! MWAH! Greetings to you all! I'm stopping in to say thank you SO much for all of the lovely comments on *And Winter Came* and to let you know that I've been under the weather the past two days and hope to get back with my final installment of *Walking in a Scrappy Wonderland* later tonight if my poor head allows me to spend some time here at the computer! I hope this finds everyone HAPPY and HEALTHY and ENJOYING the remainder of your weekend. We are forecasted to have snow down to 1,000 feet where I am located in the foothills of Northern California and I should say it is certainly cold enough to if it does not warm up once the rains reach us later tonight!!! I hope to catch you all up on the photos I wished to share with you sometime on Tuesday or Wednesday!!! I can't wait to share them! 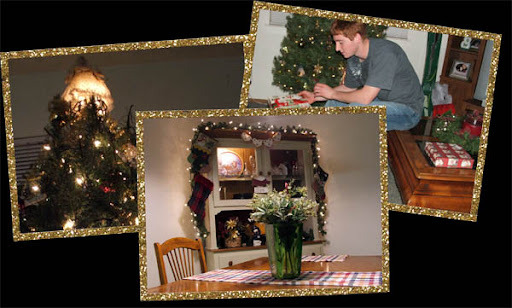 *And Winter Came* WITHOUT the LOVELY lighted pine garland swag for the BARE window included in last night's posting! HELP! You EVER fall into bed and already into dreamland when you awake with the feeling that something is not right??? No wonder I had a restless night and I ALWAYS sleep straight through and VERY well to boot I might add, but NOT last night!!! Now I know why and I thank you CAROLYN for your SWEET delivery in bringing my neglect to my attention! ALL IS WELL and I've added a separate link to the Lighted Garland Swag and will just leave it as a separate download to avoid any confusion. SO sorry for the inconvenience. In splitting up the files to keep them under 30 MB's each for those on dial-up, wouldn't you know the garland was right between the two groups and missed getting put into either of them! LOL! Have a GRAND day everyone. I would LOVE to see some layouts in the guestbook with *And Winter Came*, which will help me also in my additions to the upcoming add-on!!! CHRISTMAS AROUND THE WORLD ... IN EIGHTY DAYS??? ROFL! Well, it seems just about that long to me y'all!!! I am SOOOOOO sorry to keep y'all waiting so (im)patiently for my contribution to this MOST incredible train of goodies that just seems to be NEVER-ending!!! I shall not cry over spilt milk, just know that I got this all together just as quickly as humanly possible on a SLOW machine!!! LOL! He, he .... I am NOT complaining as I have one to use and although I feel I could be a little more productive, at least I am still able to get 'er done!!! I like giving my kits a name even if part of a collaboration or blog train and I had not settled on anything until right before zipping files. I had left the room to refill my coffee cup and heard a commercial for Enya's new Christmas album which is entitled, "And Winter Came"! I turned to Robert and said I hope I heard that right because it is a FABULOUS name for my kit!!! Now, you ALL know that I am behind so I am still owing you my final installment of *Dreaming of a Bright Christmas* as part of the *Walking in a Scrappy Wonderland* collaboration with my VERY dear friends, Dawn Mills, Mel Hains and Vicki Parker, with whom I have thoroughly enjoyed working with and hope to do so again VERY soon!!! I will be back tomorrow with my portion and some VERY exciting photos to share!!! Love to all and to all a GOOD night, day and WEEKEND!!! Thank you for your "gentleness" with me, it is SOOOOO appreciated and I also thank you for keeping those layouts and greetings coming to the guestbook!!! Y'all are SOOOO talented! 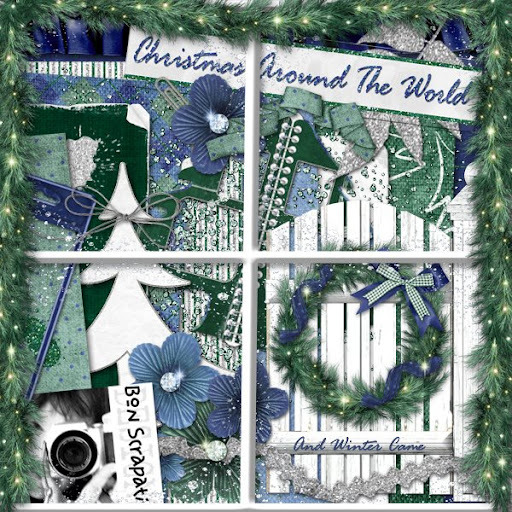 CHRISTMAS AROUND THE WORLD IS NOW LIVE!!! 'CEPT ME! I am stopping in VERY, VERY quickly as *Christmas Around The World* is going LIVE any moment now and I need to let you know that MY portion will not be available here on my blog until sometime tomorrow! Things have progressively gone from bad-to-worse in that my system is SOOOOO slow, I literally walk away while waiting for a file to open or a program to close, etc. so needless to say, I am TOTALLY behind and struggling every moment of the way to GET 'ER DONE!!! 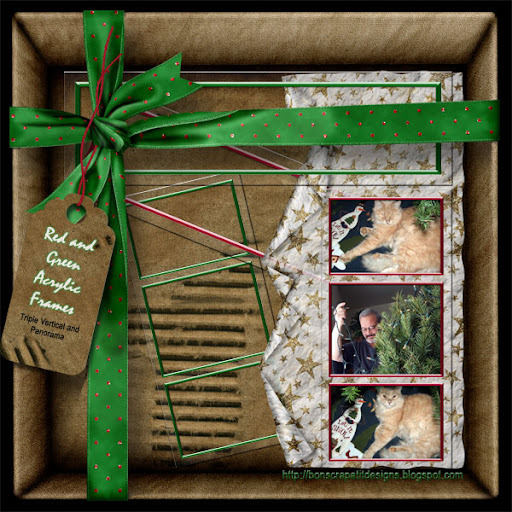 I am going to post the preview below as you will see it on the *Christmas Around The World* blog anyhoo along with the CATW banner which will be clickable to the CATW blog where you will GO bananas downloading ALL of the GORGEOUS goodies!!! All items ARE NOT represented in this preview but it will give you just a wee bit of an idea of what is to come!!! I had not opened my e-mail for several days as it bogs down my system and distracts me horribly as I am always compelled to answer what I read right away and I just have not had the time! I would like to thank ALL of you who corresponded in light of the files that showed up in with mine and I have been notified as to how it happened and it was a VERY innocent mishap caused by hitting the upload button in error!!! No worries - we all hit the wrong buttons now and then, eh? I KNOW I DO! OOOOPS, what did I do that for!!! Uh, huh, you know what I'm talkin' bout! HAPPY FRIDAY everyone! 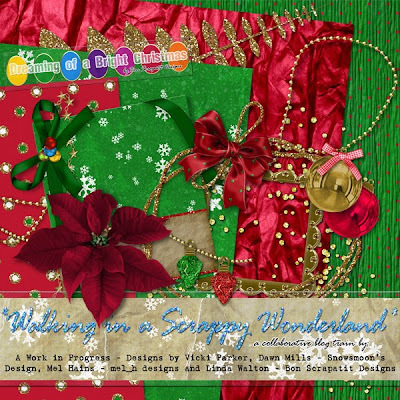 Please remember to make it back over tomorrow night for MY final installment to *Walking in a Scrappy Wonderland* along with Vicki Parker, Dawn Mills and Mel Hains. WE have ALL had such a BLAST working together and in bringing you goodies for FOUR weeks with LOTS of goodies in between. Keep your eyes open for Dawn's additions after the finale' and I believe that Mel and Vicki have EXTRA goodies as well. WOW!!! Is it AWESOME in SCRAPLAND, or WHAT!!! Love you guys and once again, I thank you from the DEPTHS of my being for your continued support and WONDERFUL comments!!! Y'all ROCK ... and the SOME! 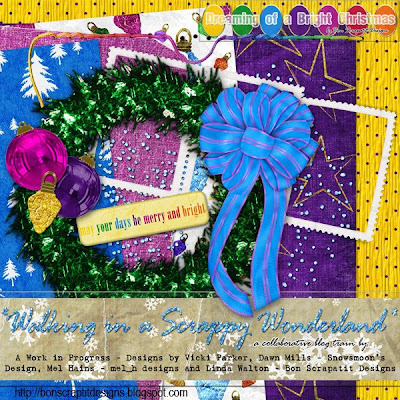 my final installment of *Walking in a Scrappy Wonderland*! HAPPY, HAPPY y'all! ALL THAT GLITTERS ... IS GLITTER!!! Firstly, please know that I am TOTALLY overwhelmed with the outpouring of concern for the little mishap with my 4-shared files being added to and I SOOOOO appreciate hearing from y'all!!! I am TOTALLY fine now. Forgiven and forgotten as that is my nature. I had JUST found out while preparing to post yesterday evening so it was very fresh! I shall NEVER stop giving, God willing, lest I am no longer able to plant myself before this screen each day!!! Thank you to all still posting their masterpieces and greetings to the guestbook! I sure would LOVE to see lots more coming in before Christmas!!! Thank you, thank you!!! You will TOTALLY make my Christmas in SCRAPLAND!!! I am leaving you with another few tidbits to the original *Holiday Sparkle* and wish to create a few NEW items to go along with the original after this hectic week! All that GLITTERS here tonight is indeed, GLITTER! 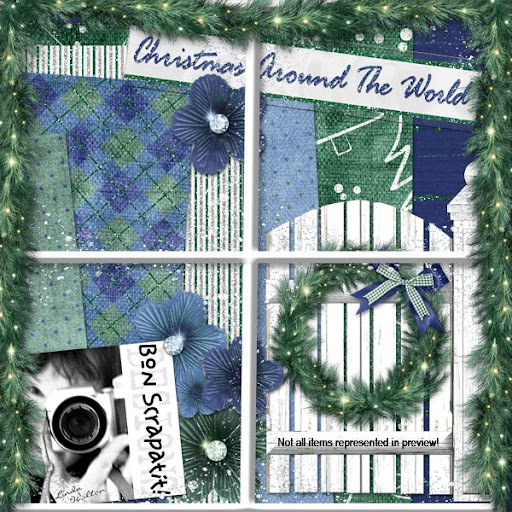 I need to finish up my goodies for *Christmas Around The World*, which debuts THIS Friday. I shall post the "clickable" banner on my sidebar sometime tomorrow night so you can come and go easily!!! Here I was all prepared, after sitting on my backside in this chair almost all day, to enter shouting HO, HO, HO, HO, HOOOOOOOO, here we goooooooooo .... once again, only now I don't feel SO "ho, ho, ho-ish"! Me, the laid back, easy-going, "we aim to please" gal that just wants to make things WONDERFUL and EASY for everyone, has been VIOLATED!!! Where? In one of the 4-shared folders that I am sharing! Hmmmmph! The only thing that moves me from from my usual jovial self to TOTAL frustration and bewilderment is "injustice"!!! Placing files that ARE NOT MINE into my 4-shared folders is not "fair" play and I am not appreciating it whatsoever! At first, I thought that, perhaps the author was sharing their creations and then VERY quickly I realized that the rightful owner would have contacted me first OR would be uploading to their OWN 4-shared account as ANYONE can have one, right? While this does not hold a candle to the fact that my VERY dear friend Vicki of A Work in Progess - Designs by Vicki was just recently informed that some of her first kits were found being SOLD and with a COMMERCIAL license, this is still UNETHICAL behavior. I am TRULY saddened by this. I have NO idea where the two zip files in question came from, but IF you are reading this now, YOU know where they came from and I am asking that you PLEASE refrain from any more inappropriate behavior anywhere in SCRAPLAND. This is such a MAGICAL time of the year for MOST all of us and I wish it to remain so. I am not saying anymore on the subject, but will inform whoever you are that I will be checking my shared folders several times a day from here on out as I DO NOT wish to punish the thousands of others honestly downloading some SPECIAL goodies because of your wrongdoing. Oh, one more thing, one of these files was downloaded OVER 200 times so my message to all of us is that when downloading from a designer's site and we see something that looks like it does not belong there, please don't download it or them and if you are able to, notify the designer. It just is NOT right! I had second thoughts about posting this, however, I am leaving it as written because when I made the decision to post access to the entire folder for those who might not have the opportunity to visit the same day I've posted and would otherwise have to hunt through older posts, I TRULY did not think anyone visiting my blog would have the heart to violate me in this manner. 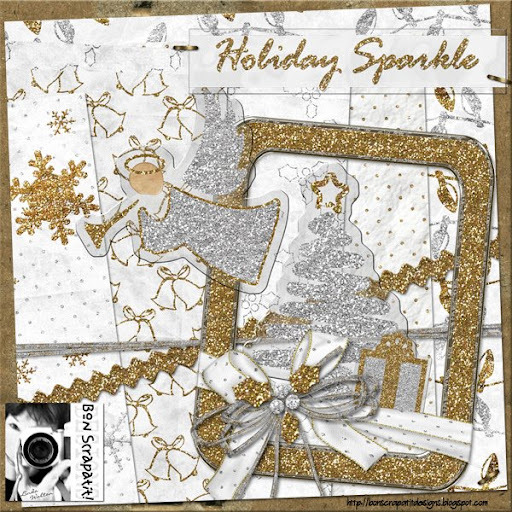 Today, I am adding to my *Worldwide Christmas Scrapbooking Freebies* folder with a revamped portion of my original *Holiday Sparkle* created in gold, silver and white! Hope you like it and I will have more to follow before the week is over. HO, HO, HO, HO, HO AND HERE WE GO!!! HAPPY DECEMBER AND LET THE "TRAINS" BEGIN!! !